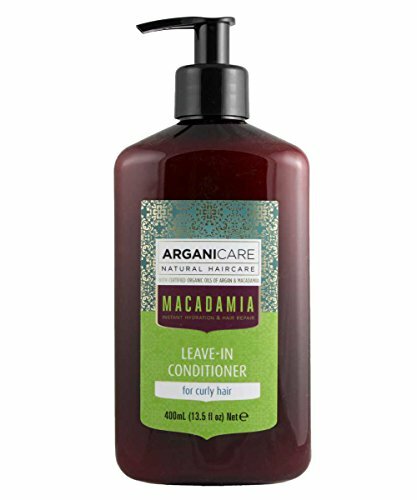 Ultra-softening Arganicare Leave-in is infused with the precious oils of Argan and Macadamia nuts. It is designed to provide to your hair an instant curling effect and brilliant shine, while protecting from external damage, by penetrating into each hair follicle. Nutrient-rich Argan Oil is revered worldwide for its fortifying and soothing properties provided by polyphenols and the antioxidant squalene, while Macadamia Oil is rich in moisturizing omega 3, 5 and 7 fatty acids. This winning combination results in a Leave-in Conditioner that is a perfect moisturizer and split-end preventer for curly hair type, providing it with essential elements and vitamins. This luxurious blend of components coats hair from roots to ends, improving manageability and elasticity and preventing tangles providing a healthy look and natural beauty, leaving hair silky soft, shiny and full of volume. Copyright © 2014 by DryScalp Treatments All Rights Reserved.